Red berries make this drink dainty and delicious! Pre-dilute Knorr Lime Powder (4 teaspoon of powder with 12 teaspoons of water). This will give you 60ml of diluted lime powder. Pre-brew tea - 2 tea bags in 400ml of boiling water for 4-5mins. Cool and set aside. 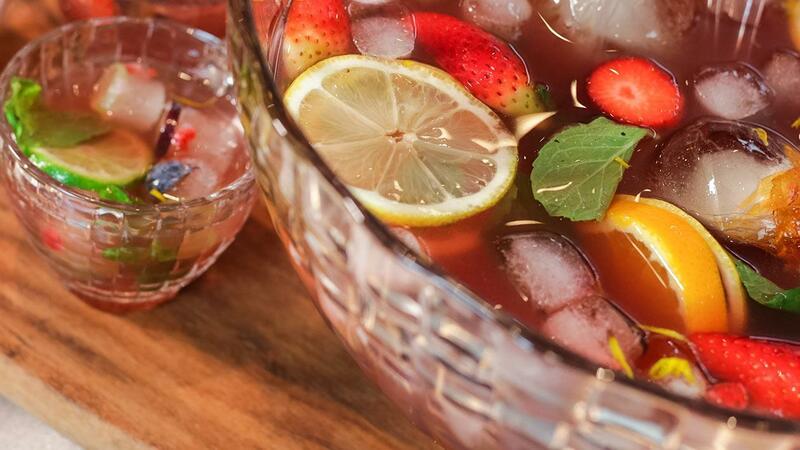 In serving punch bowl, add in 400ml of pre-brewed tea, 60ml of diluted lime powder, Monin red berries fruit mix and fruits. Add ice cubes and stir until mixed.